So here we are, coming up on another Mother’s Day, celebrating motherhood and mothers. Regardless of whether you celebrate this day, do you find yourself reflecting on your child’s birth mother? Your child has suffered the primal loss of her birth mother. How do you feel about your child’s birth mother? What is your heartfelt opinion of her? Do you have ready answers in place? Are you comfortable expressing them? Because, if your child is like any of mine, he or she will ask. And in mere seconds your child will know full-well what you really think by your choice of words, the cadence and inflection of your speech, and any nonverbal cues you exhibit. Have you educated yourself about birth mothers—read their stories and heard their voices? Have your feelings changed as your child has become older? Have your child’s feelings changed since he or she has become older? Have you talked about them? If you do celebrate Mother’s Day, don’t forget to celebrate yourself. You are the mother that helps your child find his or her way. You can heal. Parents: Do you “share” this day your child’s birth mother by honoring her in some way? Do you honor your child’s birth mother ongoing? How easy has it been to honor the person who, by relinquishing or abandoning your child, may have hurt him or her? Thanks for this post! We are in the early stages of the adptoion process. Still researching countries but being led over and over back to Ethiopia. The books you mentioned are on my list to add to the growing stack on my night stand. Reading blogs and being a member of several yahoo groups has really helped us learn how to prepare ourselves. If I had been told, or had access to the reports that the adoption agencies knew, even back in the 70’s, about the negative effects on both the babies and their mothers, I would NEVER have chosen adoption. 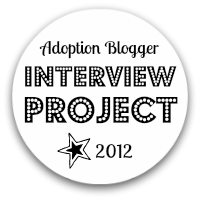 I am not alone, I’m sure most moms would have a harder time choosing adoption if they knew.